Hello, and welcome to my stop on the Hero Arts Color Layering Blog Hop. Hero Arts have just released a new catalog with a really fun concept. They asked each of the Hero artists to choose their favourite 4 inks to go with a specific stamp set, and then they created fun 4 ink cube packs with the resulting recommendations. 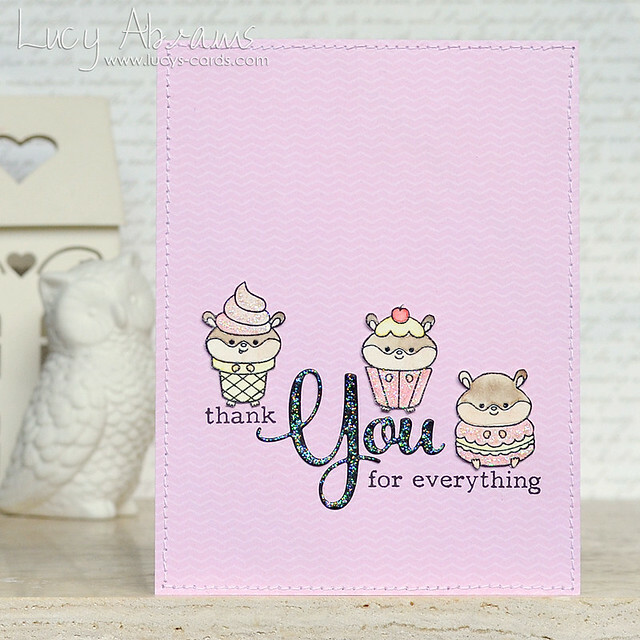 Here's the stamp set I worked with, and the ink pack I designed - Lucy's Floral Favorites... perfect for Spring and Summer cards. The ink and stamp packs are available separately or as a bundle. I love these colours and reach for them regularly... so very pretty. Hetro Arts are giving away a Color Layering Bundle to 5 lucky commenters, chosen from all comments left on all blogs in the hop. Leave a comment here to be automatically entered. Comments close Sunday June 19th at 11.59 PT and winners will be announced on the Hero blog the following week. Just dropping in to let you know that my shop is currently closed. 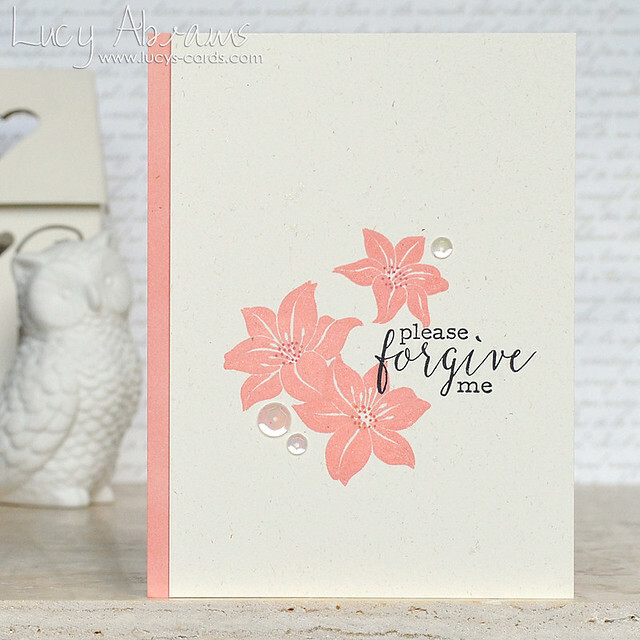 Hello again, today I have my second Clearly Besotted Stamps teaser card to share with you, and today's card features Forgive Me, a mini set with gorgeous florals and pretty mixed font sentiments. 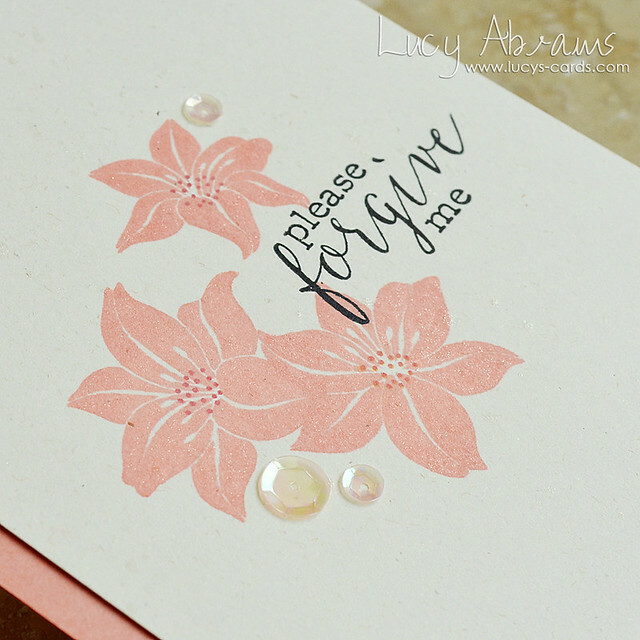 I stamped my flowers on some rustic card in Hero Arts' Fresh Peach and Soft Cantaloupe Ink, adding the dots with Light Ruby to Royal Red Ombre ink. 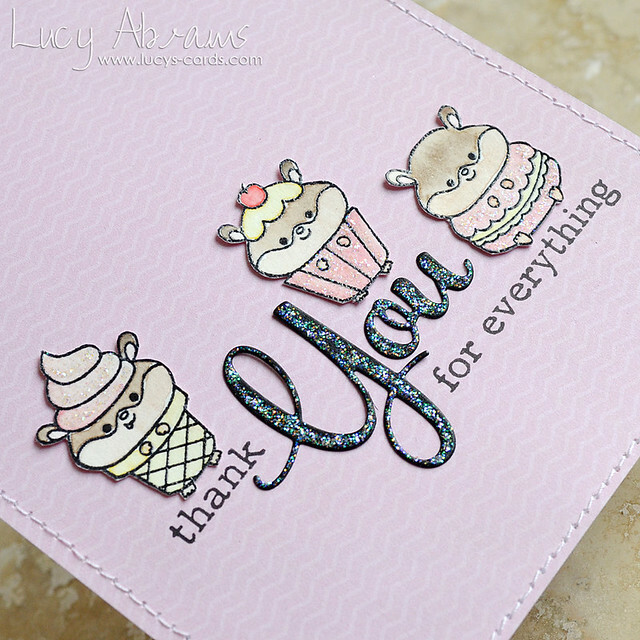 I stamped the sentiment, then added Wink of Stella details and some sequins from my Pink Lemonade Shaker Selection. Remember to visit Stephanie's blog for links to the rest of the team. 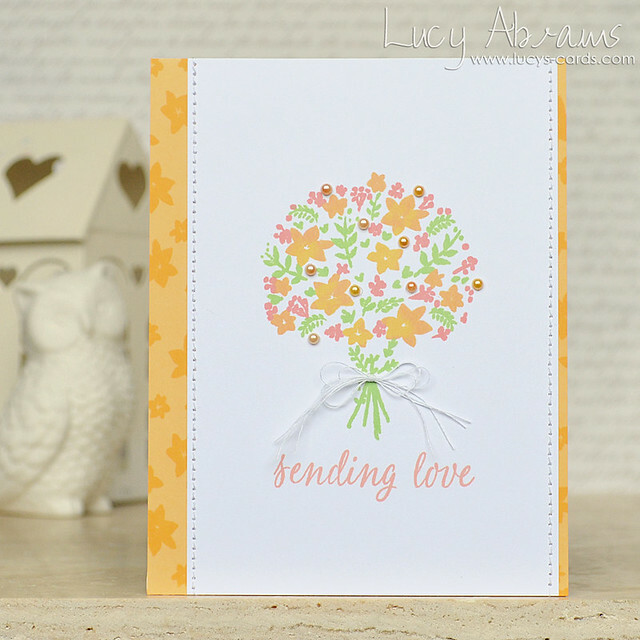 Today I am sharing my first Clearly Besotted Stamps sneak peek. All the new products will be available on 5th June at 10pm GMT. 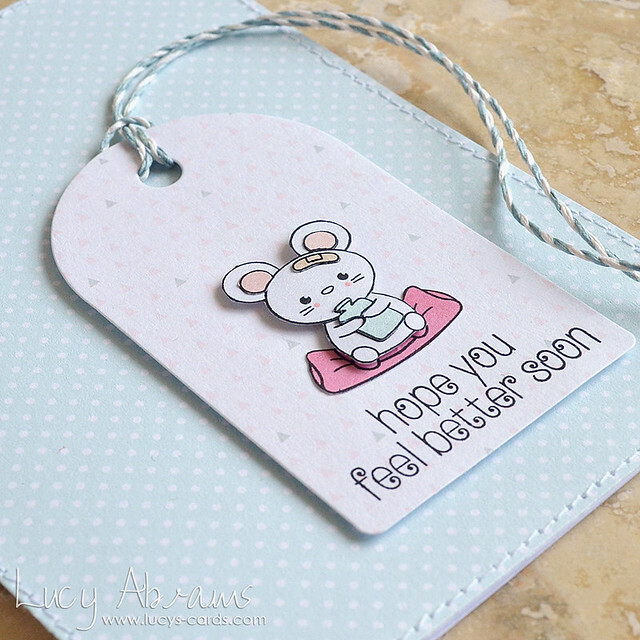 Today I've worked with Under the Weather - a cute A6 stamp set full of cute critters and get well messages. 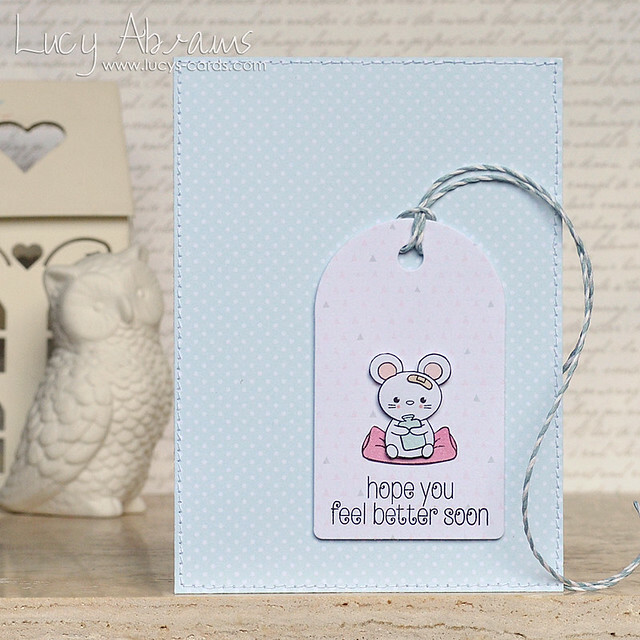 I paper pieced my little mouse, adding glittery accents with Wink of Stella and little pen dots for her rosy red cheeks. 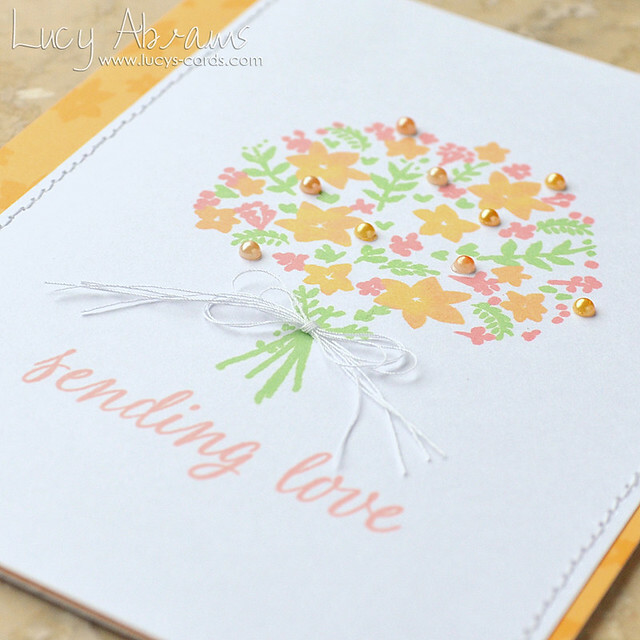 Head over to Stephanie's blog to see what the rest of the DT have created.